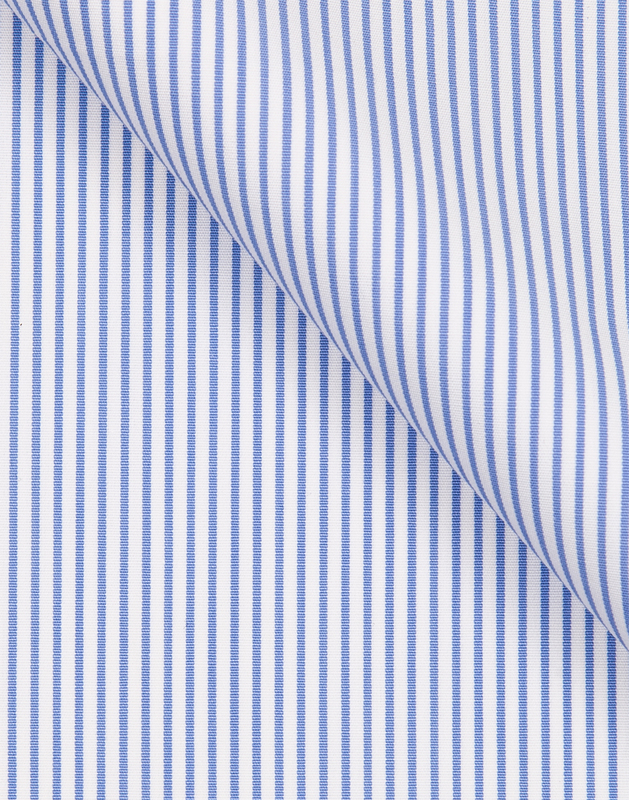 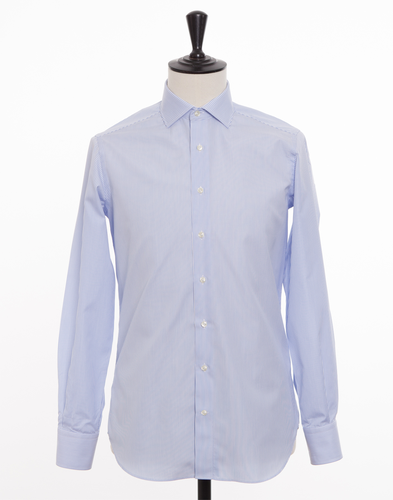 Poplin weave fabric with sky blue stripes. 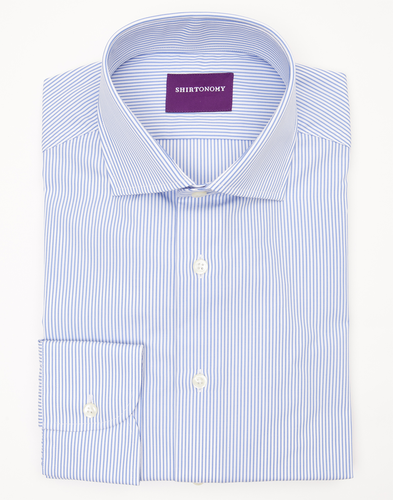 The fabric is made with double twisted long fiber Egyptian Giza cotton and has a smooth texture. 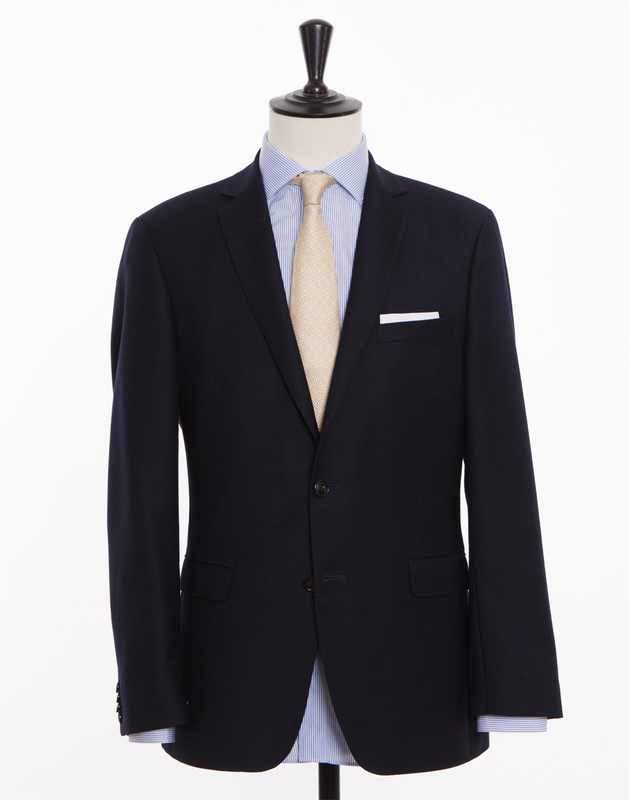 Its discreet pattern makes it compatible with both a suit as well as more informal garments. The fabric is woven in Italy and has a good resistence to creasing.